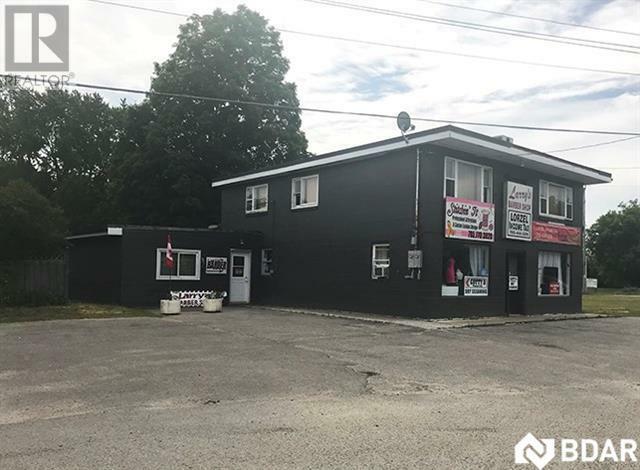 Awesome Commercial Opportunity That Won't Last Long! Great Street Exposure And Centrally Located In The Growing Town Of Angus. 2 Apartments. A One Bedroom Apt And A Gorgeous 3 Bed Apt. As Well 3 Commercial Units Currently Reside With Monthly Rental Potential Of $2900+ Monthly. Upgraded Electrical, New Flooring, And Newly Painted Exterior.Being Sold With Vacant Lot Beside.Sellers Are Licensed Realtors.